Law Offices of Philip C. Puglisi, LLC. Divorce can be one of the most trying, difficult, and emotional times in the life of a human being. There is typically tremendous stress, aggravation and grief, when one or both spouses decide on divorce. The last thing anyone needs or wants is additional stress imposed upon him or her by choosing the wrong divorce lawyer to represent them. Thus, not only do you want someone with extensive divorce and family law experience to help guide you through the process, but a divorce attorney who is both compassionate and understanding as to what you are going through. 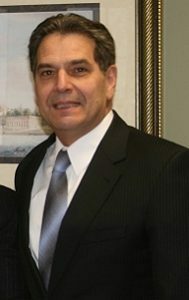 Philip C. Puglisi, LLC has over thirty five (35) years of experience handling Family Law and Matrimonial Casesin Bergen and Passaic counties, as well as the surrounding communities of North Jersey. Philip has the patience and understanding to truly listen to your concerns, no matter how small or complex they may be. Each client is treated with the utmost dignity, care and respect. Mr. Puglisi has developed a following over the years, proudly, based on such treatment. Your phone calls, emails and other inquiries, are answered in a prompt and courteous fashion to reduce the burden of proceeding through the divorce process.